For those who like to be more active, Tasmania is a destination rich with spectacular landscapes and magnificent walking trails to discover. This range of 8 Pack Free Walking holidays enable you to walk with as little as your water and camera every day, allowing you to soak up the scenery without the burden of carrying your clothes or a heavy pack. At night you will stay in superb accommodation such as Freycinet Lodge, Cradle Mountain Lodge and Stewart Bay Lodge, and savour wonderful a la carte dinners featuring local produce and perfectly matched with Tasmanian wines. Each of these walks feature an added wow factor enabling you to discover remote areas you normally couldn’t reach in a day. From a magnificent helicopter flight to a wilderness cruise, these experiences will be truly inspirational and provide you memories you will always remember. Choose from 8 Pack Free 3 day Tasmanian walks including the Three Capes, Bay of Fires, Tarkine Wilderness, Cradle Mountains & Walls of Jerusalem, Freycinet and the islands of Maria, Bruny and Flinders. Our 3 day Three Capes Pack Free walk explores Tasman National Park with it’s dramatic coastline and vertical sea cliffs. We walk magnificent Cape Raoul (as pictured above), Cape Hauy and a stunning section of rainforest from Waterfall Bay to Fortescue Bay. We finish our walk with a special wow experience. 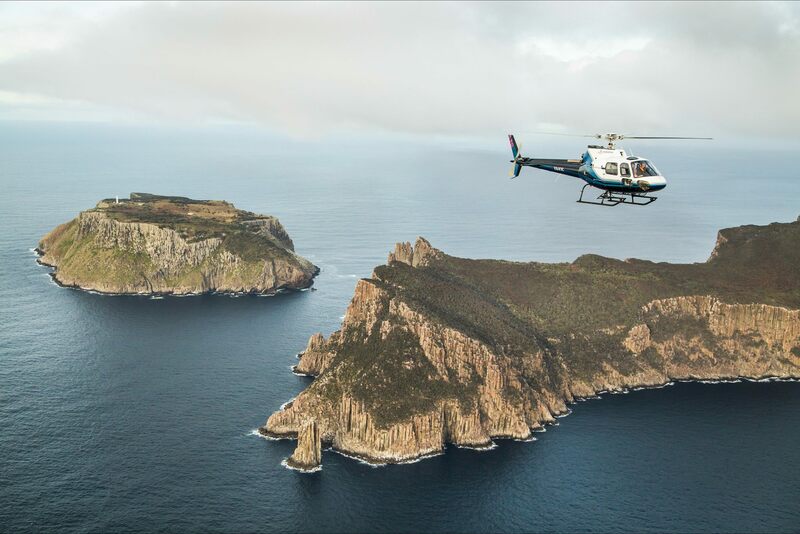 Guests will have the choice of a spectacular helicopter ride where you can marvel at the dramatic cliffs of Cape Pillar and see remote Tasman Island and it’s exposed lighthouse. Alternatively join a wilderness cruise around Cape Pillar to see the spectacular sea cliffs from water level, a great way to appreciate the magnitude of these giant cliffs. This is a genuinely all-inclusive walk with accommodation at beautiful Stewart Bay lodge in deluxe Spa Chalets, all meals including superb restaurant dinners and wine and transfers to and from Hobart to your walk and your cruise or helicopter journey. 3 day walk - prices start from $1599 per person. Right now Super Early birds are closed to the Public. However as a special offer to Seniors Card Members. We have available on all Life’s An Adventure’s 3 day Pack Free walking holidays of Tasmania. Seniors Card Members can take an advantage of a special added discount, with a total saving of $300 per person or $600 per couple on all departure when you book and pay in full by the 31st May, 2019. To book online click on our website below and once in the shopping cart add the special promo code: SENIORS to receive this additional discount or call our Reservations Team on (02) 9975 4553. Hurry don’t miss out on this special offer.